Keeping your family safely on the road since 1946. All Makes. All Models. All Services. 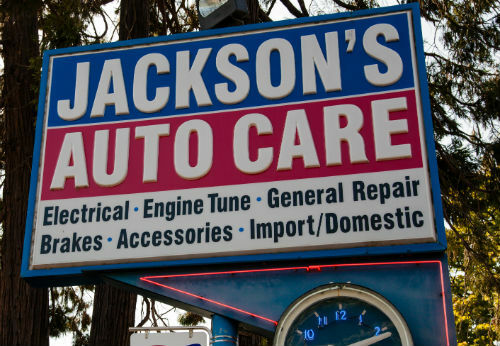 The staff at Jackson’s Complete Auto Care pays homage to its history through old-fashioned, unparalleled customer care and auto repair, yet services your vehicle with incredibly advanced technology – the best of both the past and present times. 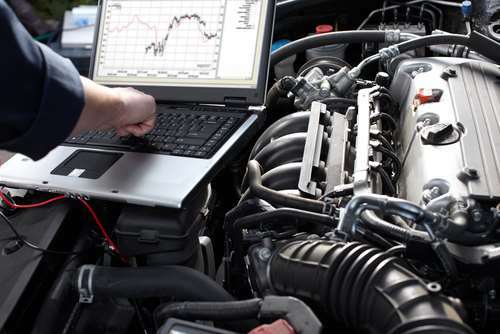 For more than 69 years, Jackson’s Auto Care has been keeping the Eugene, Oregon community and surrounding areas safely on the road with ASE-Certified Master Technicians and the latest in automotive diagnostic equipment. 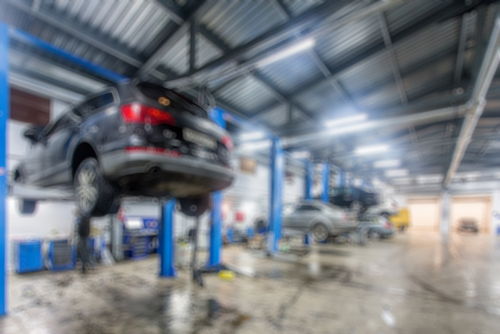 We look forward to serving you for the next 69.
your auto repaired correctly…the first time…no matter what you drive. 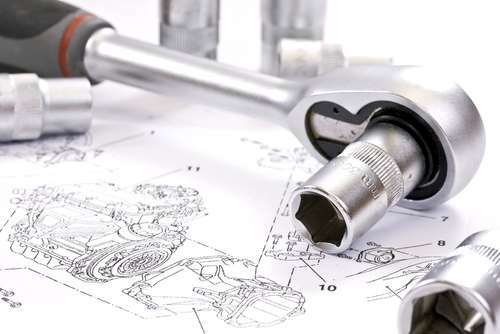 Call us for auto repair and customer care you can rely on. 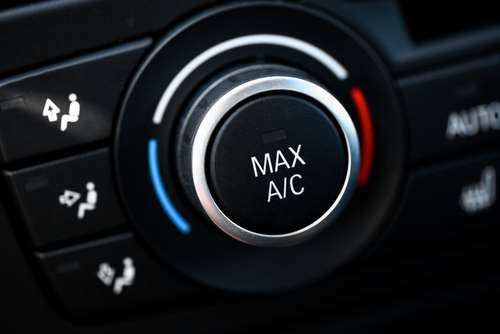 Is your vehicle’s heating and air conditioning system working properly? If not, bring it to Jackson’s. Our shop is staffed and equipped to not only diagnose and repair your vehicle’s A/C problems, but also build and repair air conditioning lines/hoses for your RV/motorhome, farm equipment, road construction equipment, forestry equipment, or other equipment with an HVAC system. We’re your local distributor for Red Dot aftermarket air conditioning parts. Let our Parts Department help you find exactly what you need from our Red Dot stock to repair your equipment’s HVAC system. Since 1946, Jackson’s Complete Auto Care has been highly-regarded as the top shop in the Eugene-Springfield area for automotive air conditioning repairs, parts, and service. Winter is finally over and spring has sprung! Already trees and flowers are beginning to bloom, the sun will be shining and the warm air will spread cheer. Although spring is beautiful, fresh, and cheerful, it does create some driving hazards; that’s why April is National Car Care Month! Shops around the country have rallied together to bring car safety awareness to their consumers. Here is one Car Care tip to help keep you and your family safe this spring and summer: Check your brakes – You’ve probably heard the old adage “April showers bring May flowers.” However, May flowers aren’t all that April showers bring! Spring’s rain produces wet, slick roads. A simple thing that could help prevent accidents is getting your brakes checked to make sure they are working properly and haven’t become worn out. It’s important to have all aspects of your brake system checked: your brake pads, hoses, lines, emergency brake, parking brake, and brake fluid. Slick roads make it harder to stop, so reliable brakes are an absolute must for your safety! Take advantage of one of our Car Care Month Specials so you can drive and arrive safely. Plus tax. Up to 5 qts of oil. Synthetic extra. Certain restrictions apply. Need Repairs Now, but Don’t Have the Cash? Jackson’s has teamed up with Credit First National Association to help you open a line of credit that will get your automotive repairs done right away for your safety and peace of mind. You can then make comfortable installment payments that fit your budget. Click the button below to get started with the application process. Awesome!!! The guys in their service department actually listen/explain things in a way I can understand and are super friendly to boot. I love that we can bring both of our cars there to get fixed (and fixed right!) and don't feel like we have to take them to separate places to get someone who knows what they're doing with each one. Plus, they're always able to drop me off and pick me up so that I don't have to wait or arrange for a ride to/from their place - very convenient. Definitely recommended. I had my truck break down in Eugene on a trip through. AAA recommended Jackson's so I had them tow me there. Jackson's was thorough, honest and professional. They took care of the problem FAST, gave me good info about taking care of my diesel engine and were friendly and personable to boot. Very good experience!! Thank you so much for getting me back on the road! Jackson's has been around so long for good reason - they're honest, whether the news is good or bad, and are just good people, not to mention the fact that they've fixed anything and everything I have thrown their way and fixed it well. I appreciate being able to go to one place that can take care all of my personal and business vehicles, no matter the make/model. Highly recommended. We take pride in keeping your family safely on the road and also want to save you some money. Click on the button to view our specials! Jackson's Complete Auto Care has been proud to service the Eugene/Springfield area for over 69 years! We service the following areas and ZIP codes: Eugene CIty Center (97401), Irving (97402), University of Oregon (97403), River Road (97404), Glenwood (97405), Coburg (97408), and Springfield (97477).